Why the PO74G38072 sounds worse than the DISX with TC74VHCU04/PO74G04 ? This is the question comes up on my mind after replacing the TC74VHCU04 with PO74G04. Well, I'm just guessing, and I could be wrong, so if you think that I'm saying something stupid, share your comment please, will greatly appreciate for that. Since in the design of DSIX, the output of the 74HC04 buffer is a combination of 5 sets of inverter. While using PO74G38072 on the DSIX, since the pinout is different from 74HC04 chip, I need to modify the connection. 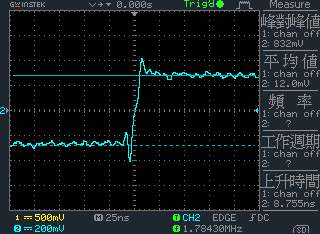 In the end, only one of two PO74G38072 buffer outputs is used. Take a look at the oscilloscope graph of PO74G38072. We can see that the overshoot is very weak, actually we should call it "undershoot". This is where I suspect the jitter coming from. So why TC74VHCU04/PO74G04 sounds better? Let's look at the following graph of the TC74VHCU04. 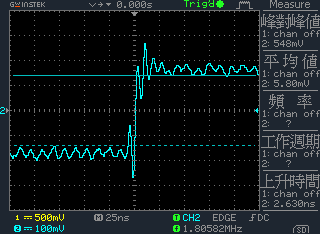 You'll see that in the waveform above, it might be easier for the DAC to tell if it is a rise or fall, so less chance for the DAc to miss interpret the signal. In other words, less jitter. Pay attention to the waveform, the overshoot is obvious. 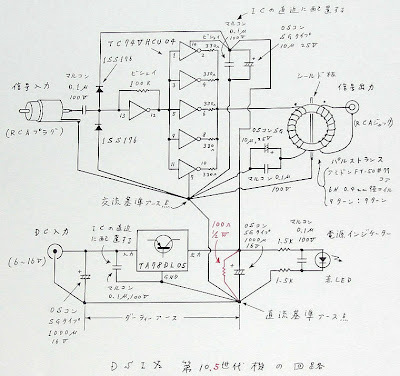 Ok, now let's take a look at the DSIX design. 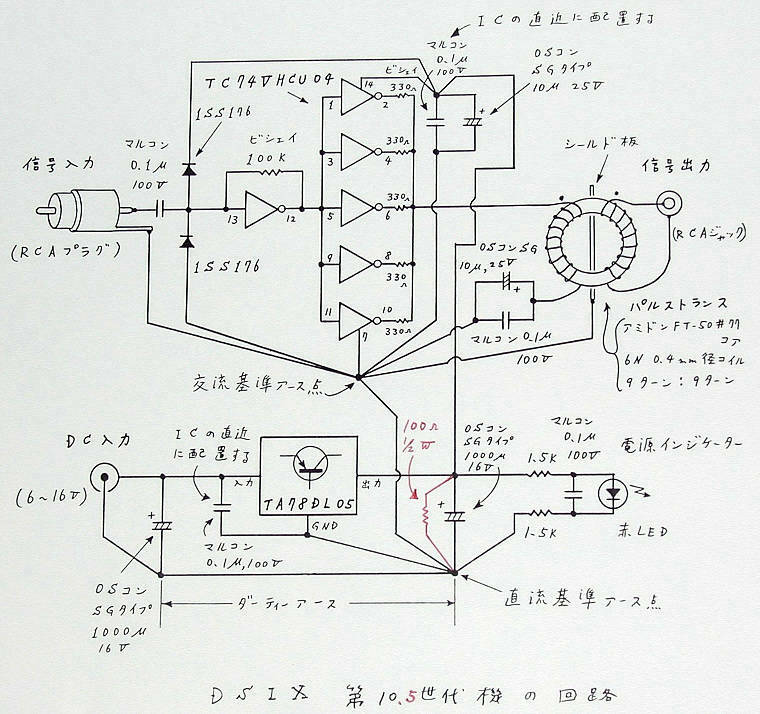 Why Mr. Shibasaki uses all the rest 5 sets of the 74HC04 output for the signal? I guess he wants to create some reasonable "overshoot", since using only one set of the output will become "undershoot" in the end. By combining all the rest 5 sets, the signal level will be strong enough and the reasonable overshoot will be created. Basically, this is why TC74VHCU04 sounds better than PO74G38072, however worse than PO74G04A. 1. Do NOT use the PO74G38072 directly on the DSIX, the signal strength is too weak to create overshoot, jitter will be introduced in the end. With DSIX, use PO74G04 instead. 2. If you prefer to use PO74G38072, the circuit must be redesigned for sure.